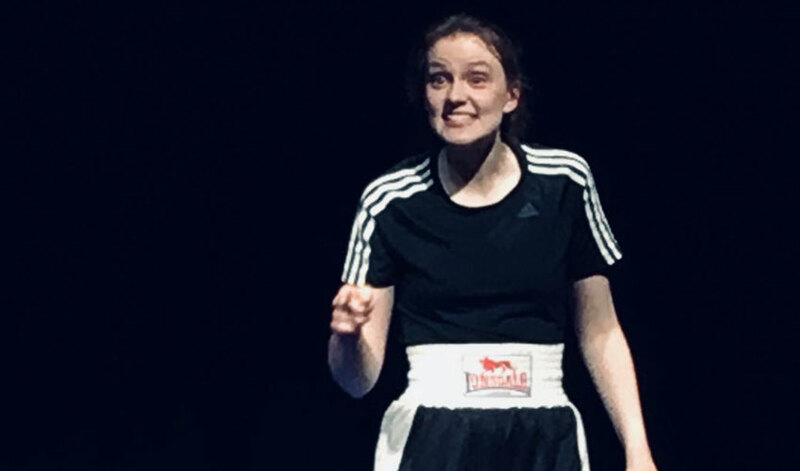 Narrated in the current day by Karen, a young Hull boxer from Hull who wants to use her boxing skills to improve her own situation, the 60-minute play dramatises Buttrick’s journey through the fairground boxing booths of France, England and America to winning the World Women’s Bantamweight Championship. This story of persistence, faith, and having heroes first wowed audiences in Hull in 2017 and now, directed by Keeley Lane and starring Amber Devine, it is out on the road playing selected small venues across Yorkshire and North-East Lincolnshire, including Withernsea Centre, Monday, February 25th. Much like Beryl, the play about Yorkshire cyclist Beryl Burton, Delicate Flowers characterises a strong local woman who broke down the barriers of a male-dominated sport and carved a career despite huge opposition, breaking the glass ceiling for future women to follow. Mr Rees, whose recent playwrighting credits include Roller Coaster, Earworm, A Life of My Own and Burning Bright, said: “Barbara’s is a fascinating story of achievement against the odds and shines a spotlight on the challenges still faced by women today not just in sport but their everyday lives. As well as Withernsea, Delicate Flowers can be seen at Bridlington CYP, Cherry Burton Village Hall, Floral Hall Hornsea, Market Weighton Community Hall, Northern Powerhouse Boxing Academy, Pickering Memorial Hall, Scunthorpe Boxing Club and Shire Hall Howden. Delicate Flowers is also due to receive three performances in Hull during February as part of the Back to Ours event, playing at Derringham Bank Methodist Church, William Gemmell Club, and Willows Social Club.